Witnesses described a torrent of water and mud that buried cars and tore down trees. 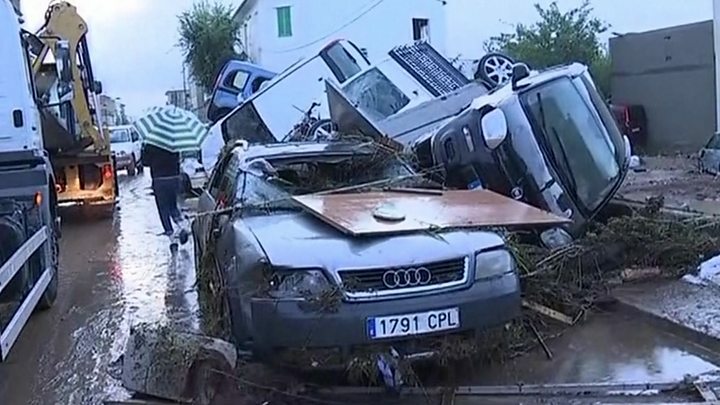 "It all happened in less than 10 minutes," one told Spanish TV. "We had to swim to try to survive." Hundreds of displaced residents are in emergency shelters, and about 80 soldiers were expected to join more than 100 rescuers who are working in the area.